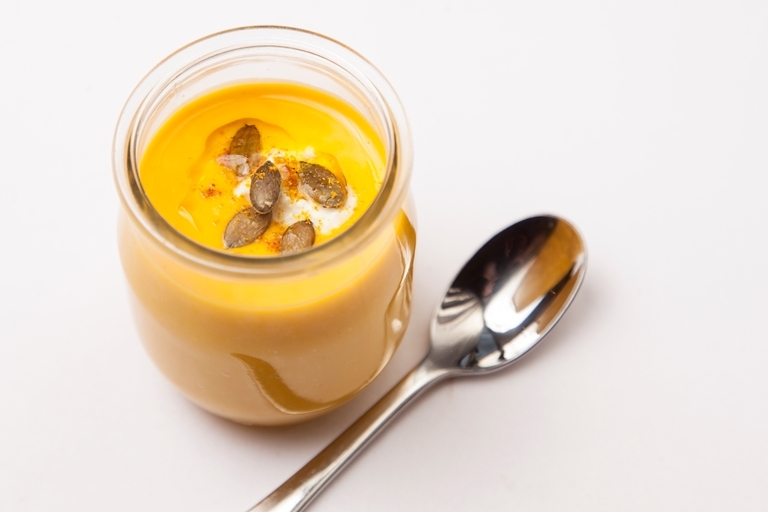 Marcus Wareing's easy pumpkin soup is a perfect starter for a winter's evening. It zips up the sweet mellow flavour of the pumpkin with nutmeg and whiskey cream. To make this recipe vegetarian friendly, feel free to replace chicken stock with vegetable stock.